NEWPORT, Ky. – When Shayna Hubers wasn't sending text messages to her boyfriend in the fall of 2012, she apparently was texting her friend, Christy Oyler, about their troubled relationship. 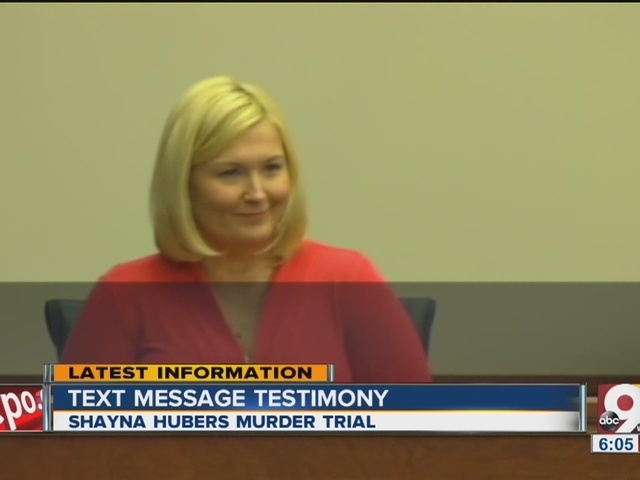 Some of Hubers' texts to Oyler, especially the one in which Hubers described how she might kill her boyfriend, have become blockbuster evidence in her murder trial. "My love for Ryan turned to hate," one of Hubers' texts to Oyler said. In other texts, Hubers said her relationship with Ryan Poston was unhealthy, that Poston caught her going through his phone, that she was secretly dating another guy named Patrick at the same time – she had listed Patrick as Patricia on her phone - and she loved Patrick and she was thinking about leaving Poston. "It's going to be hard for me to one day choose between him and Ryan. One means a future and one means being with someone I love who doesn't love me as much," Hubers texted. "If he loved me half as much, I'd be forever faithful, but I know he doesn't." But it was that Oct. 1 text – 11 days before the Poston was killed – that brought the most dramatic moments in the courtroom Tuesday. "When I go to the shooting range with Ryan tonite I want to turn around, shoot and kill him and play like it's an accident," Hubers texted. That didn't happen, but Hubers has admitted shooting Poston in his condo on Oct. 12, though her attorney says it was self-defense. Oyler testified that she didn't immediately remember that message. "When it was brought to my attention, it was on the news," Oyler said. "Looking back, I feel really bad because maybe I should have paid attention to it, but at the time I didn't think anything about it." The defense, which called Oyler to the stand, tried to show that Hubers was joking when she threatened Poston. Defense: "The next day, did you think anything of it?" Defense: "Two days later, did you think anything of it?" Defense: "Even three days later?" Defense: "Because it was a joke?" The prosecution turned the tables during cross-examination. Prosecution: "Eleven days later, when Shayna Hubers put six bullets into Ryan Poston, did you think about it then?" Prosecution: "Did it take on a different context then?" 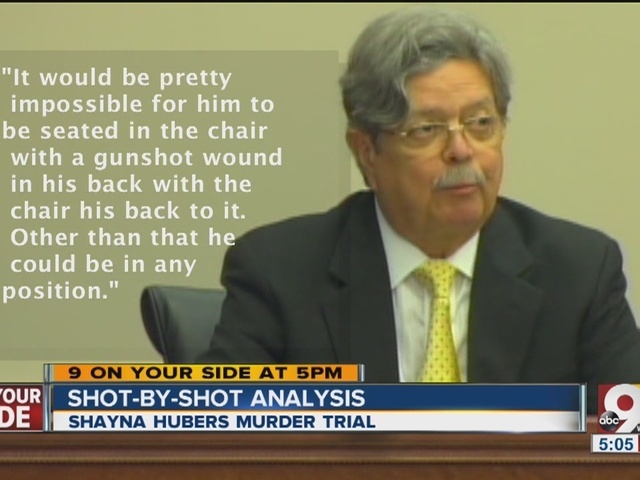 In other defense testimony Tuesday, f orensic experts gave grisly details about Poston's wounds – he was shot twice in the head – and tried to refute the prosecution's contention that he was sitting when he was shot. At the end of the day, though, the bulk of the testimony didn't seem strong enough to sway the jury.